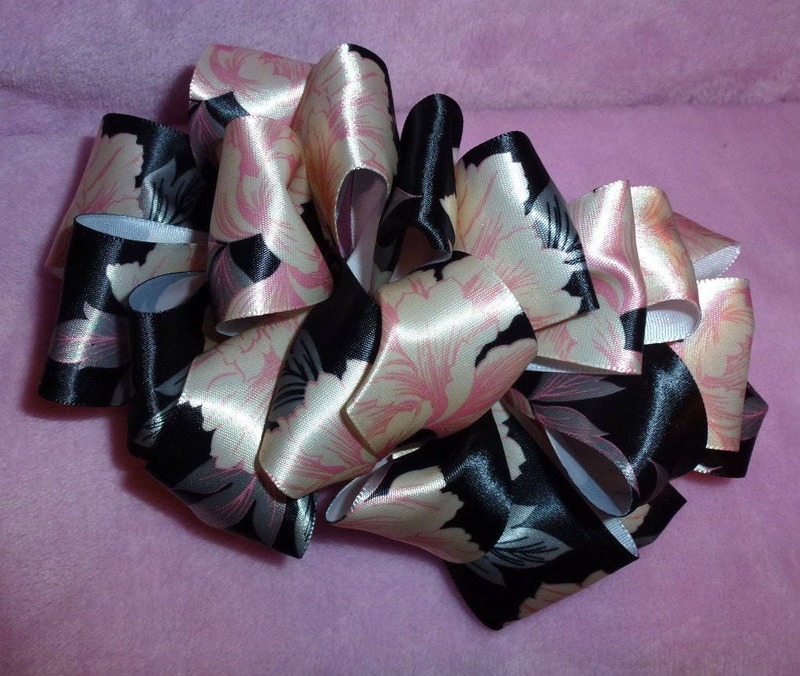 I have created this beautiful bow using ribbon It is hand sewn onto a 3" french barrette. 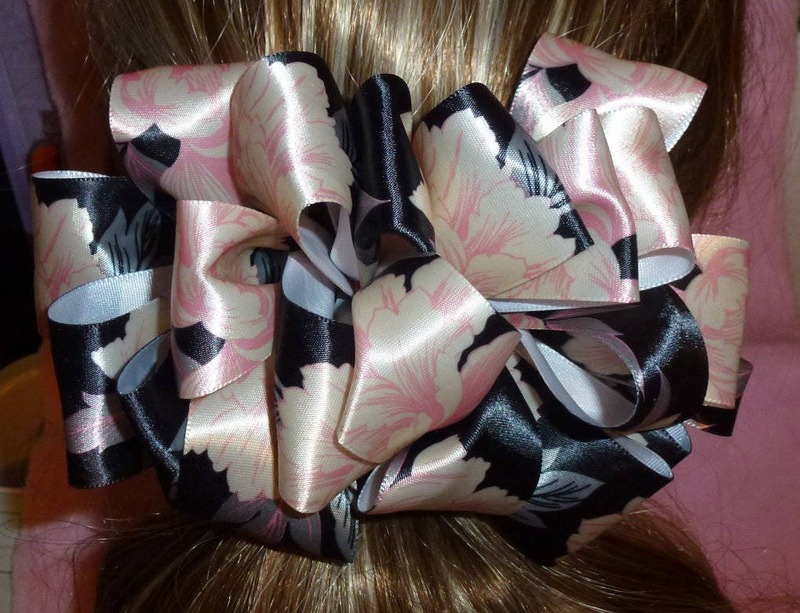 It is in various shades of black and pink in a floral pattern. 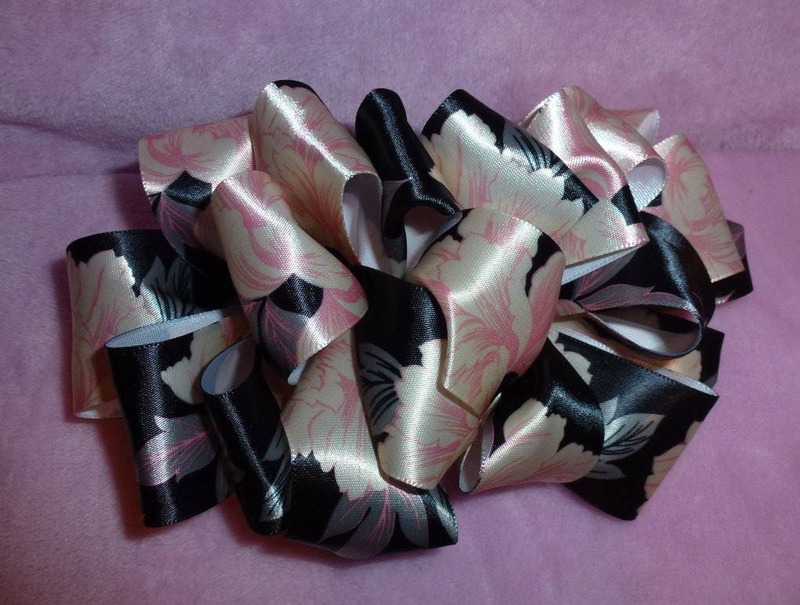 It measures 6" x 5"